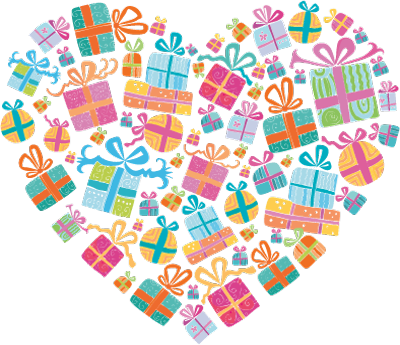 December Update - Hope, Healing and Joy at Christmas! It's been a wonderful year on the Africa Mercy serving in Cameroon and Guinea, but we couldn't have done it without you! Your thoughts, prayers and financial support have allowed this work to continue for another year - and until every person in Africa has access to safe and affordable surgery. I pray you each have a blessed holidays with those you love, enjoying all the beauty of this season. In the meantime, enjoy this special delivery of Christmas cheer from our patients in the hospital. And keep reading to the very end for a new video!! We can't say THANK YOU enough for your help that has made it possible for each of these patients and thousands more to receive FREE surgery this year through Mercy Ships! All photos copyright Mercy Ships Communications Dept and Jenny or her friends. Copyright © 2018 Mercy Ships, All rights reserved. You are receiving this email because you have asked for updates about Jenny's time serving with Mercy Ships and provided your email address. Although I am currently serving with Mercy Ships, everything communicated here strictly reflects my personal opinions and is neither reviewed nor endorsed by Mercy Ships. Opinions, conclusions and other information expressed here do not necessarily reflect the views of Mercy Ships. It's been almost 2 months since the ship landed in the country of Guinea! We've been off to a good but very busy start! While over 400 patients have received free surgery, it takes a while to get their stories and photos to share with you all. So I thought instead, we would take a little tour of what else is happening around Mercy Ships. Working in the hospital, I generally focus on those surgeries and patients, but there's lots to see outside of our wards and ORs too!! Last week, the screening team left the Africa Mercy and headed several hours up country to seek out patients from across the large country of Guinea. Several hundred patients were selected from two cities to come to the ship for further assessment. Sometimes the larger tumors our volunteer surgeons see are the result of a neglected dental problem, making the dental program such an important preventative aspect of the work of Mercy Ships. The focus of the program is the removal of decayed teeth and treatment of infections; they also provide cavity treatments, dental hygiene and partial dentures for some patients. This field service in Guinea, the dental team has the unique opportunity to hold their clinic inside a local dental school to provide training opportunities for local dentists, hygienists, sterilizers and denture makers. 1,600 patients have already received treatments and we look forward to supporting thousands more! Pediatric eye screening has now started in Guinea to find the young lives who have suffered with blindness due to cataracts. Because of your partnership, these children are given a second chance at a brighter future after surgery on the Africa Mercy! Most of these children are born with congenital cataracts due to genetic reasons or infection and grow up unable to see, work or go to school. Thanks to a simple, short surgery to remove these clouded lenses, we are able to celebrate new sight with hundreds of eye patients every year! Through our Medical Capacity Building program, we believe that leaving a lasting impact should be one of the core foundations of Mercy Ships. Courses are held throughout the country in areas such as Safe Surgery, Safe Anesthesia, Surgical Skills, BioMedical and Sterile Processing several times throughout the year. For further training, 1:1 mentoring for surgeons, anesthesiologists, therapists and dentists is also provided. This photo from the recent sterile processing course is just one of several classes held so far in Guinea. It’s not just surgeries that take place when the Africa Mercy is invited to a country. Here in Guinea, the Medical Capacity Building team is to thank for the fantastic HOPE Center renovation (Hospital Outpatient Extension Center) that houses patients before and after their surgeries. Having recently opened, it now looks forward to being filled with patients, all of whom will receive free surgery! August 2018 Update: Welcome to Guinea!! The Africa Mercy arrived in Guinea two weeks ago! We were welcomed to our new dock in Conakry with music, dancing, joy, excitement...and a massive downpour. It is wonderful to be back in Africa once again for my 4th field service with Mercy Ships and I'm looking forward to being a part of what God is doing here. I'm sorry for my silence the past few months as I've been sailing, traveling, resting and spending a few weeks home with family (please follow me on Facebook or Instagram for more frequent updates and to see what daily life is like!). After a busy year in Cameroon, this time was exactly what I needed to recover mentally, physically and emotionally and prepare for the next year of service. We have one more week until patients arrive on the ship so here is a quick introduction to my new home! All of June and July, the ship was sailing or in the shipyard in Las Palmas, Gran Canaria, Spain to have maintenance and repairs. While this is somewhat of a rest period for parts of the ship like the hospital, for the engineering and deck crews this is the busiest time of year! Here's our Captain John making a phone call on arrival day. For a sea-loving captain, it can be pretty boring to live on a ship that only sails for 2-3 weeks per year. Most of the year is spent making sure the ship is in 'ship shape' for sailing - and when that day comes, it's finally time to shine! I've been to 4 African countries with Mercy Ships: Madagascar, Benin, Cameroon and Guinea. Guinea is by far the most needy of them all! The difference could be felt from day one just in seeing the port and surrounding areas - and Conakry, the port city, is one of the wealthier areas. Guinea has a population of over 12,000,000, of which 35% live below the poverty level. The ship was last here in 2012-13 and since that time, the Ebola outbreak hit Guinea very hard, nearly crippling the healthcare system and making outside aid organizations hesitant to work in the region. There are approximately 40 hospitals in the country with less than 100 surgeons and 10 anesthesiologists between them (those are very generous estimates since the actual numbers are hard to determine). The life expectancy is only 59 years. All that being said, we have much work to do here and are excited to see how God plans to use this ship and willing people to bring hope and healing to a place that so needs it. Last week, we held a Mass Screening event in the capital city of Conakry. Over 6,000 people passed through the gates. It proved to be a challenging day, as crowds began to multiply before sunrise in hopes of relief from medical conditions rarely seen in any other setting. By the end of the day, 1,135 people were offered follow-up appointments to return for a more in-depth health assessment. In the coming months, the team will also continue to screen patients from four regions in the interior as well. Thank you for your prayer on this hugely important day that enabled us to find a huge portion of our patients for surgery this year! Also happening during the time since our arrival is the annual cleaning and set up of the hospital. We have had an awesome crew working tirelessly to set up the wards, operating rooms, and other parts of the hospital to prepare for patients to arrive soon! I can't get enough of these gorgeous sunsets from the deck of our ship out over the Atlantic Ocean! A different view of God's creation every day!! As we've been setting up the hospital and preparing for the year ahead, I've had the chance to do a little exploring around the Conakry area. The surrounding streets near the port are mostly small shops and neighborhoods, but just a short boat ride away are several beautiful islands with hotels, restaurants and beaches. While I love most things about living on ship, the ability to get away for awhile and relax in nature is an added benefit, especially after a busy work week. Guinea has many beautiful sights and I hope to see more of them during my time here! URGENT: One container of supplies, including the tents that go on the dock and other important equipment that should have arrived before the ship, has been diverted from Cameroon. It needs to arrive in Guinea ASAP and also be cleared quickly through customs to allow those teams to have a place to work when patients start arriving soon! Further screening continues this week for patients who were pre-selected at the mass screening. Four other screening events in different cities all over Guinea will be held in October to fill any remaining spots. Over 100 new crew members have come onboard the ship since our arrival in Guinea. Pray for smooth transitions and quick training for many people in new positions. Surgery begins September 4! Pray for the patients and crew who will care for the hundreds of surgeries that will be done in the next 9 months. May Update - The Final Countdown! One of the most memorable patients I had the honor to care for this year was Fanta. She was a plastic surgery patient who had a large mass growing under her arm. Interestingly enough, Fanta is a nurse here in Cameroon but as this mass grew larger over the years, she was unable to work or care for patients anymore. There were two things that stood out to me about Fanta from the moment I met her: her expert style in using her dress designs to hide this tumor from the public and her gorgeous smile that shone brightly even through the struggles she has faced with this disease. As she left the ward after recovering from surgery, she could not stop thanking the doctors, nurses and God for bring Mercy Ships to give her hope for the future again! Bernard's neurofibroma started growing when he was just 4 years old. While his parents tried to get him help, the local doctors told them he needed a specialist that would cost too much money. The 19 year old does not let that get him down though, pushing against the odds to stay in school and achieve his goals. 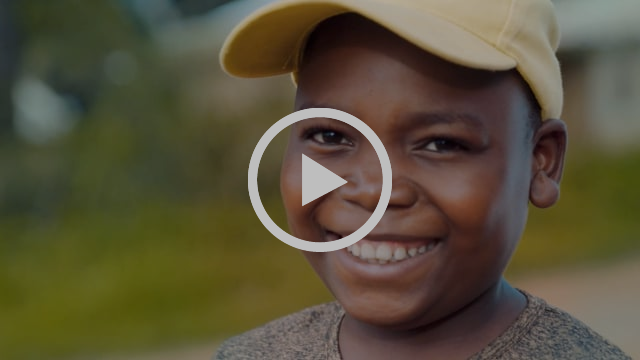 His teachers told him about Mercy Ships and encouraged him to be seen - however, he was hesitant to tell his friends, not believing anyone could truly help him. After receiving his free surgery and returning to school, his classmates barely recognized him! Bernard said, "Before the surgery people would keep their distance, but now people approach me. It's given me more confidence and self-esteem, and I now have more opportunities than I had before! 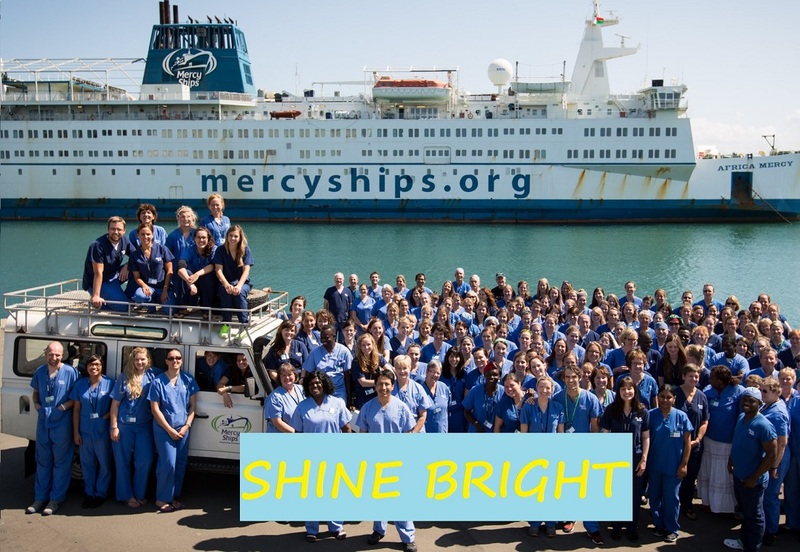 Thank you, Mercy Ships!" One of our favorite transformations on the ship come from cleft lip repairs. Often they are babies or small children, but every once in a while there is an older patient who never had the chance to have their lip repaired like Fadimatou, from the very far north region of Cameroon. After a short surgery and a few days recovery in the hospital, these patients can return home without fear of rejection or being treated as 'cursed' any longer. And we get to enjoy the gift a many beautiful smiles in return! Below: Left- Remember Baby Paul? (one of our first patients back in September who was treated in our Infant Feeding Program to help gain weight) Right- He finally had his 2nd surgery to close the hole in roof of his mouth just before his 1st birthday and he's now home again, fat and happy! Another Cameroonian patient with an amazing smile was Zidane! He had an infection on his ankle that ate down to the bone and forced his foot to be stuck in an abnormal position. After several surgeries and a skin graft, he was able to put his foot flat on the ground for the first time in years! We had several teenage boys in the ward together around the same time who became fast friends. And what was their favorite Rehab activity? Playing basketball out on the dock with the rim attached to a wall of containers! One of the programs I don't mention very often is our Ophthalmic Surgeries. However, it is not because they do not have a great impact - consistently operating on over 50 patients per week for a total of 1,500+ surgeries this field service in Cameroon! The majority of patients come for cataract removal, a common problem related to diabetes, poor health or old age. Imagine slowly losing your vision over time but having no power to do anything about it, knowing that one day you will be blind. With a surgery that takes less than 5 minutes, Mercy Ships is helping the blind to see, following the model of Jesus. We could not do anything we do without the help of our awesome Day Crew! This is the group I have worked with most of the last 9 months. They are a fun, intelligent and hard working bunch of Cameroonians who have helped with translating, caring for our patients and keeping the ward running smoothly. Over 200 day crew are needed all over the ship to make it possible to serve in this country. I am so thankful for them!! My job is Pediatric Nurse. My passions are Jesus and Travel. I'm living my dream to combine all these things by serving on the Africa Mercy - a hospital ship run by global charity, Mercy Ships. After a year in Madagascar, I couldn't stop; so I'm returning again for a year in the West African country of Benin. This blog is where I share stories, adventures, pictures and random thoughts. Thanks for reading!